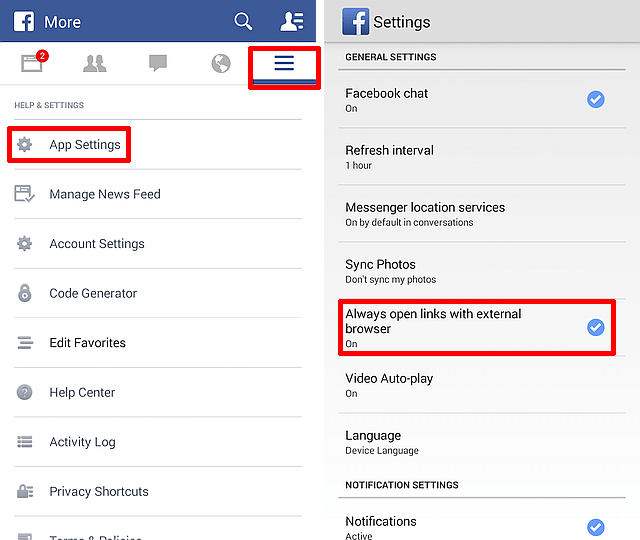 How to open a link in facebook without using a Browser ? We all know about Facebook so no description required on this topic. So now lets move straight forward to our topic “ how to open a link in facebook without using a browser?”. Our applications keep on updating time to time whenever an updation is launched. So if you would have notices the recently updated facebook app added an in-app browser. So what this in-app browser does is very convenient for us. The links that we click gets opened in it instead of google crome . So this update provided by facebook have some pros and cons. The advantage is that you don’t need to swap apps now… you simple click on a link and there you go… in-app will open it no browser needed. Seeing from a user perspective this one is good move made by facebook. But this is the only. one and all good thing. Moving over to the disadvantage the in-app browser is directly controlled by the facebook which means you have no idea which web standard is used here or anything about the underlining technology. Adding on to disadvantage this browser is nowhere rich in features or speed. So opening the page is usually taking more time than google chrome. Now you would be thinking that waiting for google chrome to open the link is much better waiting for the page to be loaded and pressing the back button again and again…… no… trust me it’s a bad idea. The good idea is to disable this new setting now how to do it?. Before we go into that lets first solve the problem of multiple tabs and long waiting time problem when using google chrome as well..
1: Opening links in chrome manually select the link you want to open after you click on that link tap the three dotted menu on topmost extreme right and select open in google chrome. 2: Disabling the new built in browser altogether If you wish to disable the built-in browser altogether. 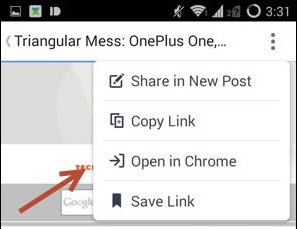 Go to more tab option, select app settings and turn on always open links with external browser. Try turn off video auto play if it is annoying you.